Our Microsoft Office training will increase YOUR productivity – guaranteed! Are you struggling to make the best use of Microsoft Office? We offer training and consultancy in Microsoft Office within the London area and beyond. We have Microsoft Office trainers in London, Surrey, Middlesex, Twickenham, Richmond, Ashstead, Lightwater, Ascot, New Barnet, Ilford, Surbiton, Slough, St Albans, Bushey, Crowthorne, Reading, Ewell, Basingstoke, Croydon, Leatherhead, Redhill, Dorking, Whiteley, Guildford, Farnham, High Wycombe, Crawley, Sutton, St Albans, Fulham, Watford, etc. If you are within 30 miles of any of these places, we will not charge travel costs. If further afield please ask for a quote. 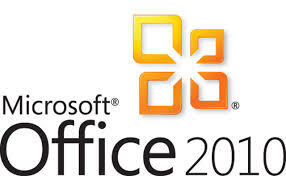 All our Microsoft Office training is available in Microsoft Office 2007, Microsoft Office 2010, Microsoft Office 2013,Microsoft Office 2016 and Microsoft Office 365 versions. We provide Microsoft Office training courses, other IT training courses and Personal Development training courses in London, Richmond, Twickenham, Kingston, Hounslow, Brentford, Putney, Kingston, Wimbledon, Walton-on-Thames, Chiswick, Teddington, Hampton, Feltham, Acton, Ealing, Heathrow, Egham, Staines, Hanwell, Sunbury, Hammersmith, Fulham, Greenford, Clapham, Chertsey, Woking, Weybridge, Reading, Ewell, Wandsworth, Middlesex, Surrey, the M25 corridor, High Wycombe and beyond. We will travel further if expenses are covered.